Hydroxypropyl MethylCellulose is a non-ionic cellulose ether, in the appearance of white powder, odorless and tasteless. It is soluble in water, most polar organic solvents, and the appropriate proportion of ethanol/water, propanol /water and dichloroethane, but insoluble in diethyl ether, acetone, and anhydrous alcohol. In cold water, it will swell into a clear or slightly turbid colloidal solution. Its aqueous solution has surface activity, high transparency and stable properties. Hydroxypropyl MethylCellulose has thermal gelation properties, so after heating the aqueous solution will precipitate and form gels, and dissolve again after cooling. Products of different specifications have different gelling temperatures. Its solubility varies with the viscosity, and the lower the viscosity is, the greater the solubility will be. 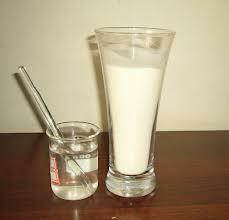 There are some differences in the properties of Hydroxypropyl MethylCellulose of different specifications. The dissolution of Hydroxypropyl MethylCellulose in water is not affected by the pH value. Hydroxypropyl MethylCellulose has many features such as thickening power, salt discharge performance, pH stability, water retention, excellent film-forming properties, extensive resistance to enzymes, dispersion and adhesion. In latex paints and water-soluble resin coatings, Hydroxypropyl MethylCellulose acts as film-forming agents, thickeners, emulsifiers and stabilizers, making the coating film with good wear resistance, leveling property, and adhesion, and improving the surface tension, pH stability, and compatibility with metal color materials. In the water-based paints, Hydroxypropyl MethylCellulose has excellent storage stability, maintains uniform viscosity, makes pigments uniformly dispersed, and basically won’t be affected by the pH value. In putty, the main roles of celluloses are water retention, adhesion, lubrication and so on. Hydroxypropyl MethylCellulose has high water-holding performance, surface opticity and improves uniformity. This helps to avoid crusting and off-powder phenomena, improve resistance to shrinkage, cracking and vertical flow, and to improve the work efficiency since the painting job is comfortable and saves effort. In the production of synthetic resin, Hydroxypropyl MethylCellulose plays the role of protective colloidal agents and can effectively prevent polymeric particles from agglomerating. In the floating polymerization of vinyl chloride (VC), the disperse system has a direct impact on the product, PVC resin, and the quality of processing and products. It helps to improve the thermal stability of the resin and control the particle size distribution(that is, adjust the density of PVC). PVC resins made from high-quality cellulose ethers not only can ensure that the performance meets international standards, but also have apparent physical properties, fine particle characteristics and excellent melting rheological behavior. In such materials as the adhesive mortar and surface mortar in the thermal mortar system, celluloses mainly plays a role of bonding, water retention and increasing strength. It also helps to improve construction, water-retaining property and resistance to hanging. Furthermore, it improves the resistance to vertical flow, shrinkage and cracking, and thus improves the bonding strength and the work efficiency. In interface agents, Hydroxypropyl MethylCellulose mainly functions as the thickening agent and can increase the the tensile strength and flexural strength. It also helps to improve surface coatings, enhance adhesion and improve the bonding strength of mortar. Furthermore, good permeability can improve the uniformity of the interface, enhance lubricity and fluidity of mortar, make coating easier and thus improve work efficiency. In the bonding of tiles, tile adhesives can function as water-retaining agent and adhesives, and can greatly improve construction performance of adhesives, allow longer opening hours and greater cohesion, and prevent falling of tiles due to excessive water loss. Hydroxypropyl MethylCellulose has the properties of improving the workability, good water-retaining property, enhancing adhesion and high resistance to hanging. Hydroxypropyl MethylCellulose can improve the sticking and tiling efficiency, and also enhance bonding strength and shear strength.